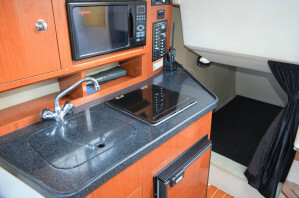 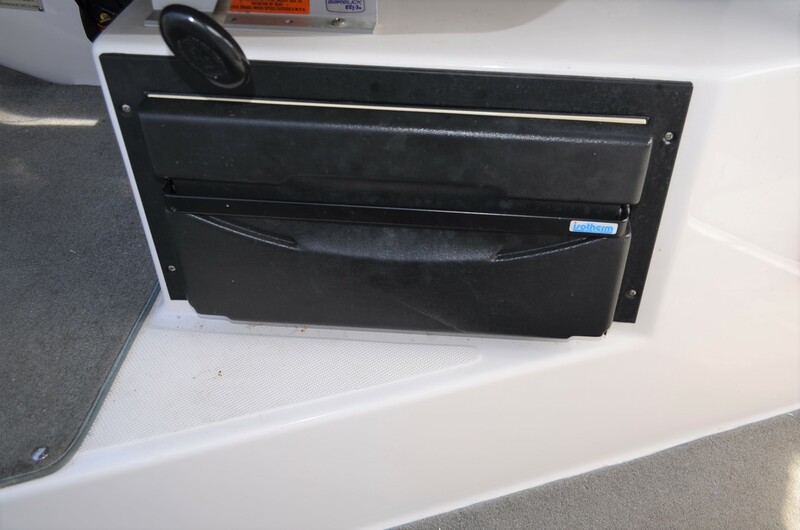 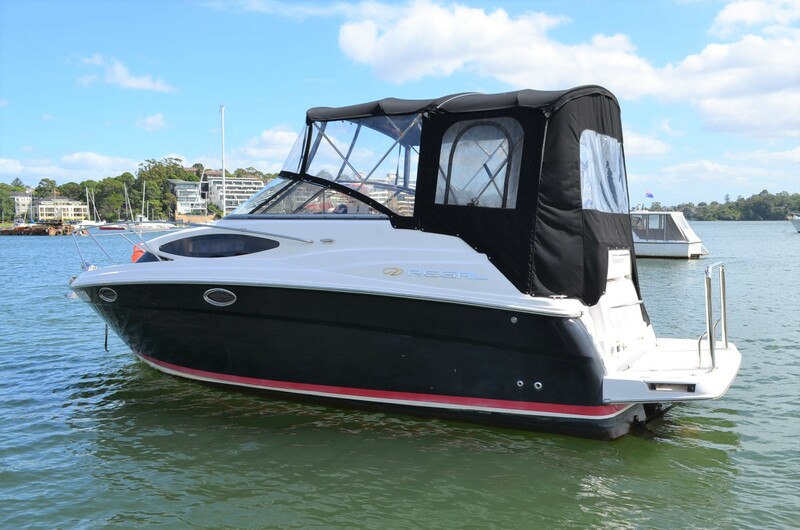 This 2008 model Regal sports cruiser is the classy window express model which with its large front and side windows, awashes the interior with light and gives a true sense of airiness and space – a feature not seen on most other similar sized sports cruisers. 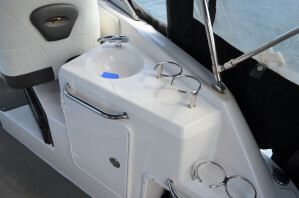 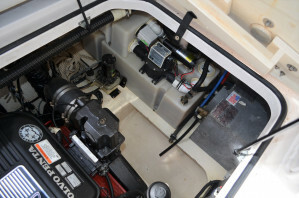 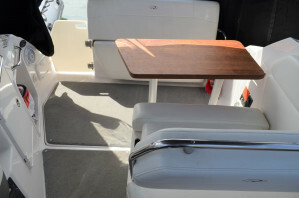 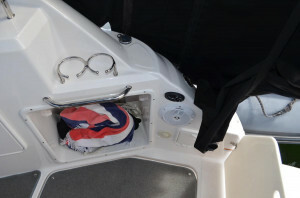 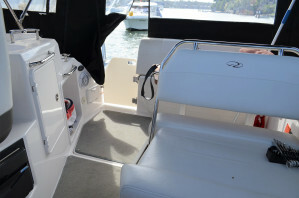 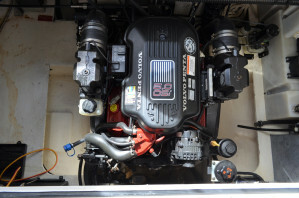 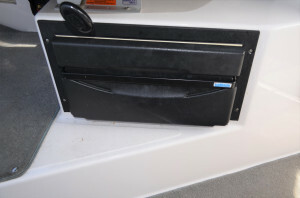 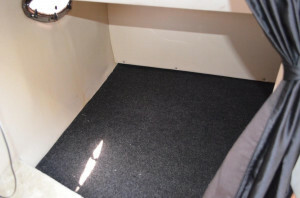 The patented Regal Ocean Trac hull ensures that your ride is not only fast and dry, but also affords superior comfort. 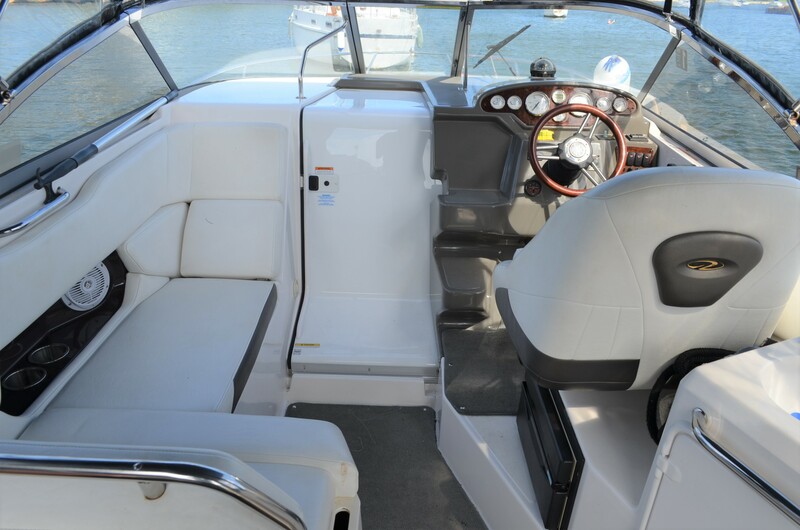 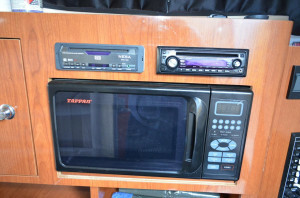 The finish and attention to detail is second to none, and clearly positions this cruiser as a clear cut above the rest ! 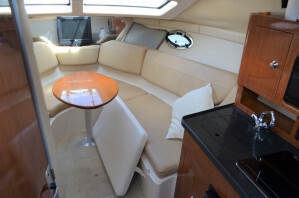 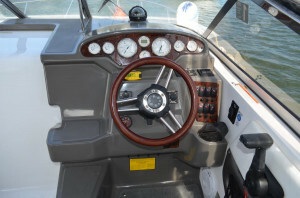 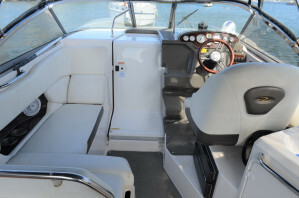 A huge companionway, comprehensive set of Faria gauges, woodrimmed steering wheel with integral stereo controls, side opening engine access, tank monitors, convertible cockpit seating, and more . . . .
Powered by a single Volvo 270hp with the Neutrasalt option, she easily cruises at 25 knots and will top out at about 35 knots, so getting to your favourite overnight anchorage will be no problem. The motor and leg have just undergone a very comprehensive service, including manifolds and risers replacement, as well as new bellows for the leg and a complete antifoul; so she is genuinely a turn key proposition. 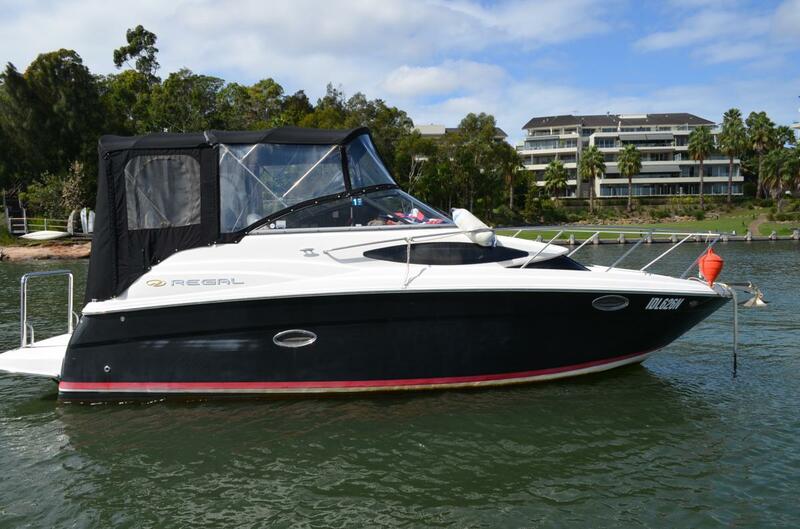 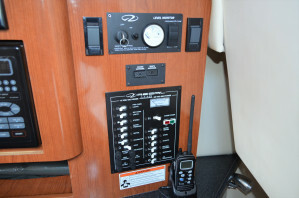 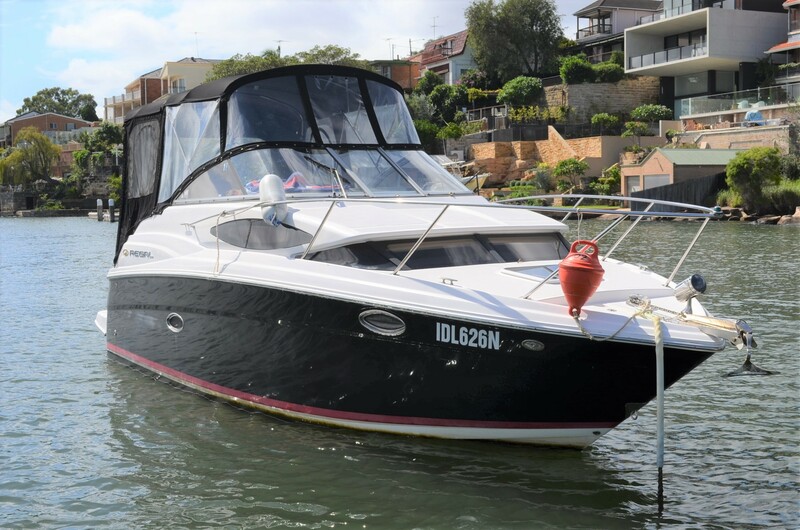 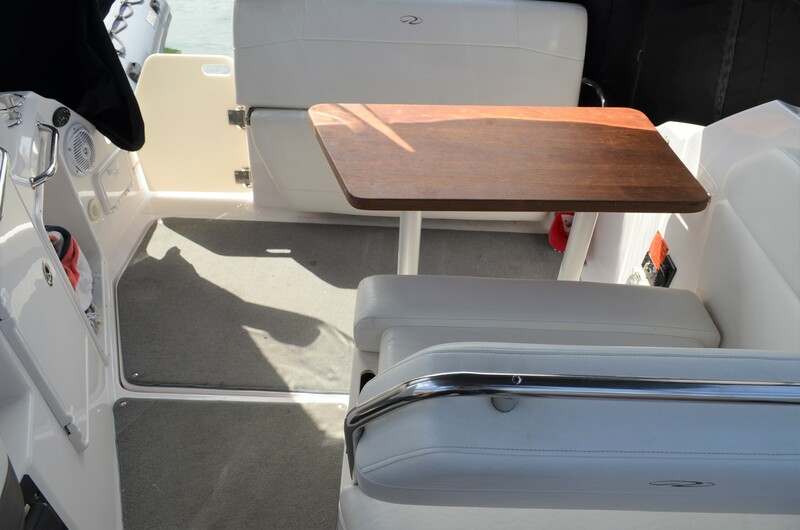 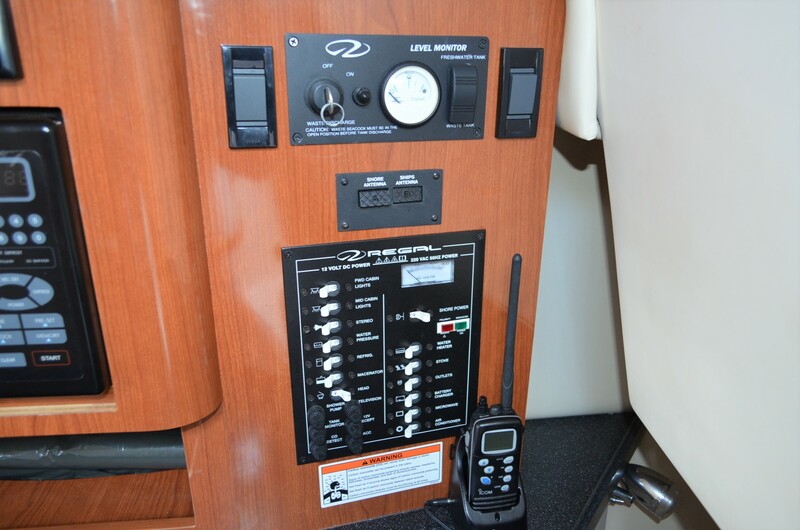 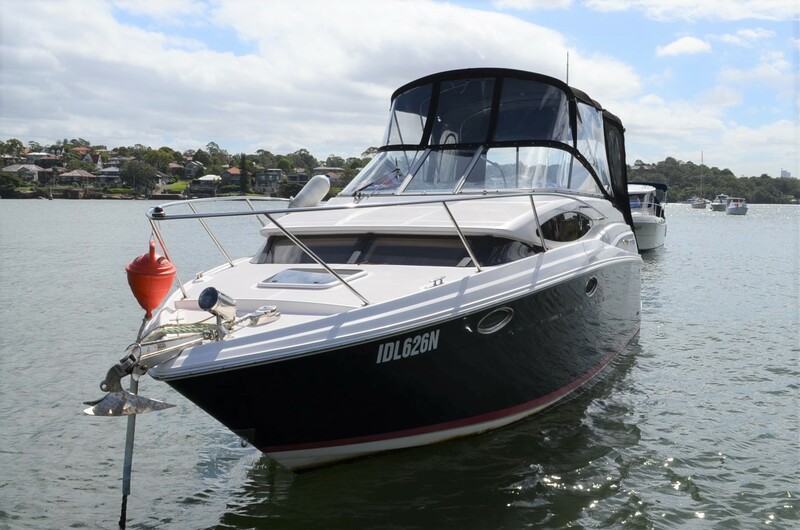 Don’t dawdle, if you looking for a late model sports cruiser from Bayliner, Searay, Four Winns or Mustang, arrange a private inspection of this well maintained Regal which has just been fully prepared for the coming year, inspection definitely will not disappoint. 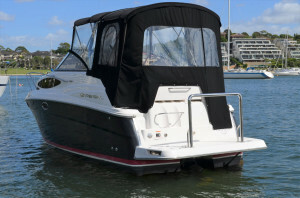 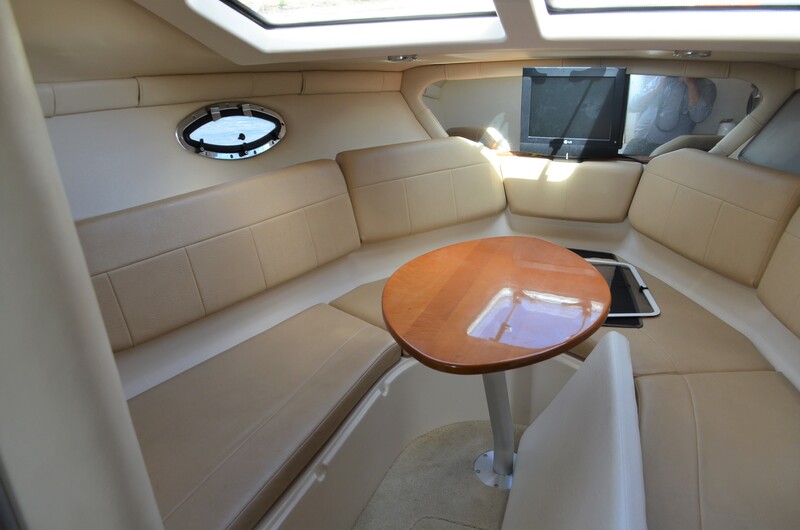 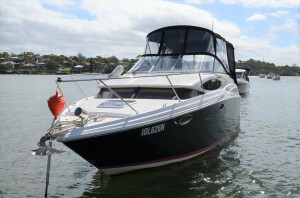 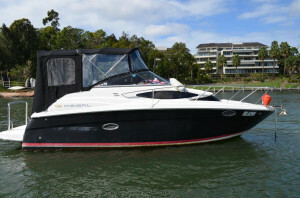 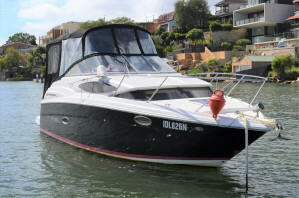 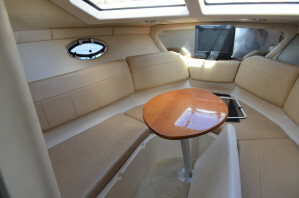 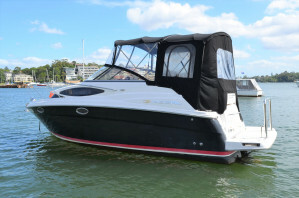 Call the best boat brokers in Sydney who are available 7 days for your convenience. 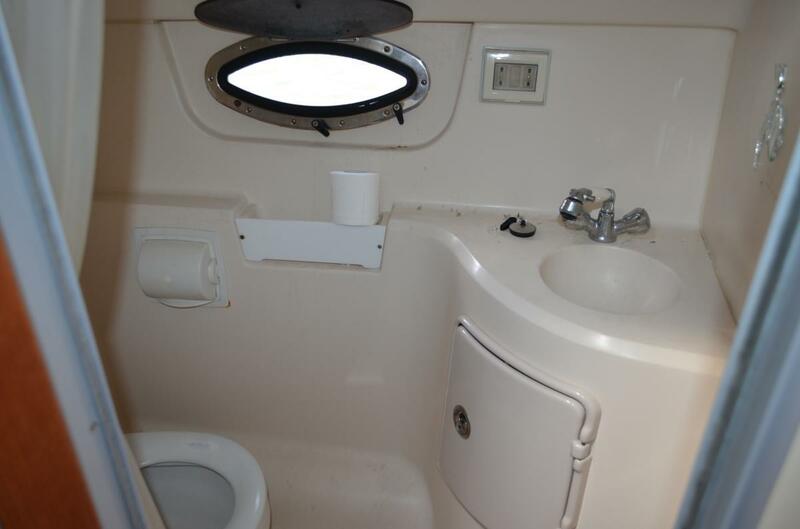 Price Base : $ 61,900 Turnkey !